Multifunctional hotel complex is located in the ancient merchant city of Elabuga. 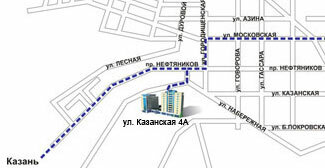 The hotel is located close to Kama River, and its beautiful view is opened for the guests of ALABUGA CITY HOTEL. 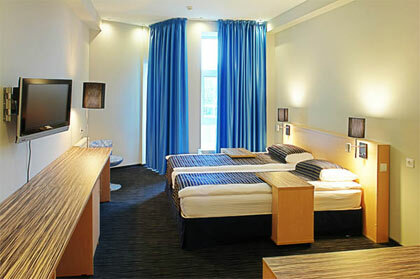 The hotel combines two building blocks with 105 rooms of the categories "Standard", "Suite" and "Apartments". The hotel offers smoking and non-smoking rooms. Hotel building blocks combined by a spacious hall. Part of the hall is a Lobby-bar, which is opened 24 hours a day. Conference hall can host up to 150 people. The conference hall of ALABUGA CITY HOTEL provides ideal conditions for holding conferences, seminars, celebrations and business events. The conference hall of ALABUGA CITY HOTEL is equipped with modern equipment. All guests of Elabuga staying in ALABUGA CITY HOTEL, have varied and delicious Buffet breakfast in the hotel restaurant. Restaurant ALABUGA CITY HOTEL is one of the best restaurants in Elabuga. Room rate includes buffet breakfast, parking, Wi-Fi. - check-out after 6:00 pm - pay 100% of the room cost. Payment can be made in cash or by credit cards ((Master card, Master card electronic, Master card Worldwide ,Maestro, Visa, Visa Electron, Diners Club International, American Express, JCB). You can make guaranteed and non-guaranteed reservation. Such kind of reservation provides the guest 100% guarantee. The reservation is guaranteed in case of deposit conformation or preauthorization of the credit card of the guest (a certain sum, equal to the price of one-day accommodation at the hotel, will be blocked on the credit card account of the guest). For the preauthorization in our hotel we accept the following cards: Master card, Master card electronic, Master card Worldwide ,Maestro, Visa, Visa Electron, Diners Club, American Express, JCB. According to «The Rules of Providing Hotel services for the Guests in Russian Federation» in case of late cancellation of the reservation (within 24 hours before arrival) or non-arrival there would be booking fees (one-day accommodation at the hotel). If the guest arrives one day later he has to pay the full price for the reserved period (at least for one-day accommodation at the hotel). Such reservation is not confirmed by a deposit preauthorization of the credit card. Non-guaranteed reservation is kept for the guest till 18p.m. on the day of arrival. 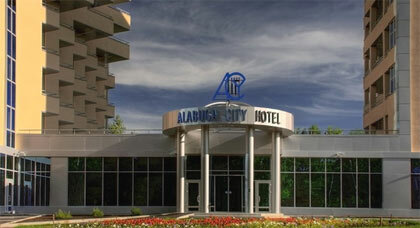 Please take in account that the checkout time at the hotel «Alabuga-City Hotel» is 12a.m. You can cancel your reservation not later than 24 hours before arrival. According to «The Rules of Providing Hotel services for the Guests in Russian Federation» in case of late cancellation of the reservation (within 24 hours before arrival) or non-arrival there would be booking fees (one-day accommodation at the hotel).